The ethnic groups of Biffeche live together in harmony, united by their love for the Kingdom, mutual respect, and pious submission to, and appreciation of God's will. Although there are some common cultural practices unique to Biffeche, each group brings its own rich heritage and culture; many noble races and ancient Kingdoms and empires enrich our Kingdom today. 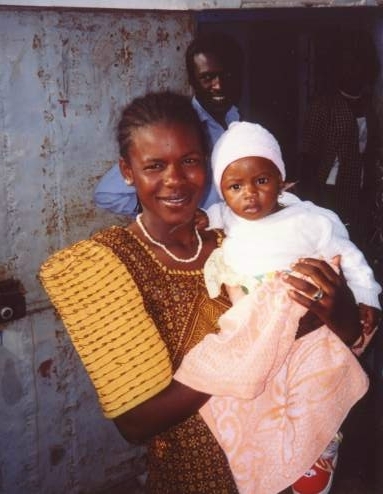 Ethnic groups include Peulh (Fula), S�r�r-Ndut, Wolof, Naar (Moor) and American, but all are truly called "the Biffeche". The Peulh (also called Fula or Ful Fulde) are a nomadic pastoral race, guiding their herds all across West Africa. They are the only nomadic pastoral race in all of West Africa (hence in Biffeche). 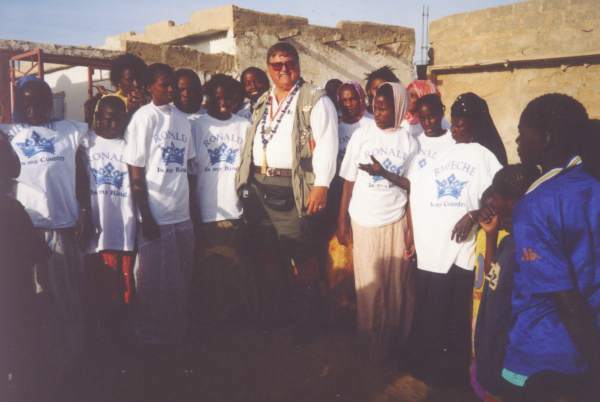 Unlike the case in East Africa with pastoral nomads, the Fula get along well with the non-pastoral groups in Biffeche among whom they live. They are the largest ethnic group in Biffeche, spread across the countryside in numerous villages. They are a proud race, noble in appearance. "Our language is Pulaar, the most harmonious sounding, and yet perhaps the most complicated of all Biffeche languages." Tukulor people here also speak Pulaar. Most are devote Muslims, a few are Christian and several groups are traditionalist. The S�r�r-Ndut are a handsome race that once inhabited Biffeche and the rest of the S�n�gal Valley in ancient times, but were driven out centuries ago by invaders from the north. Tillers of the soil, they settled as part of the S�r�r cultures in central S�n�gal, especially in the area known as Mont-Roland west of the city of Thies. In the mid-20th Century, life became too hard, and a group were resettled to Biffeche-Ville (now called M'Boubene) around 1960. They were put in tragic starvation-conditions, and they did not receive promised support. It is they who "founded" Biffeche-Ville as such, and arranged for the anointing of King Edward I (the American King of Biffeche). These elders are honored today as "the founders" and have been awarded the Biffeche Order of St. Michael medal. The S�r�r-Ndut language is related to S�r�r-Sine, and is spoken by 25,000 people, not all of whom are in Biffeche. The S�r�r tend to be conservative, and more careful with their money than the Wolof. In Biffeche most are Roman Catholic Christian and traditionalist. 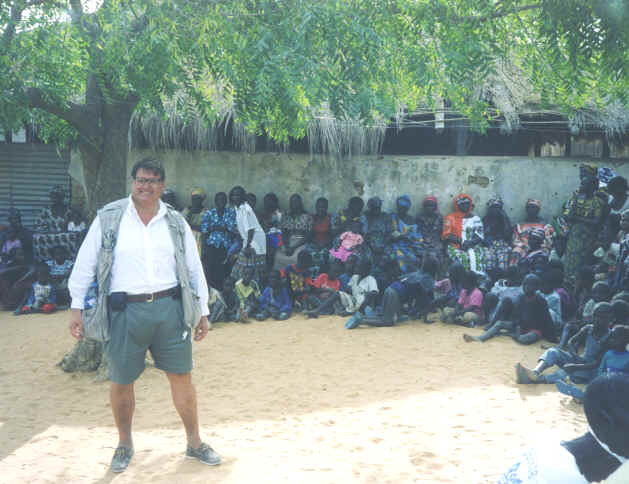 The Wolof are the dominant group in S�n�gal, although they are just one of the main groups in Biffeche. Their language is gradually becoming the language of the whole region. 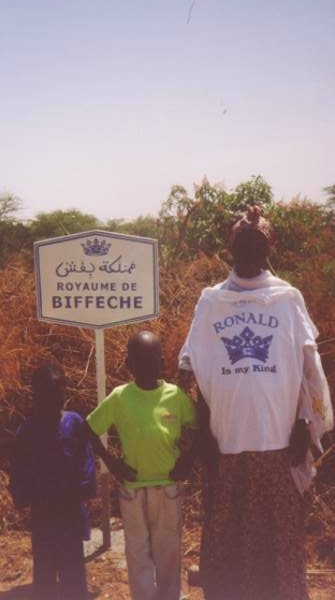 In most of Biffeche, the Wolof language is a lingua franca even more than French itself. The Wolof are known for their industriousness, intelligence and showy extravagance, and traditionally they have been socially oriented in a stratified caste system which still exists unofficially. Most are Muslim or traditionalist, and some are members of the great Muslim brotherhoods of Tidjan, Mouride, etc. that have glorious histories in West Africa. Naar visiting with King Ronald I. 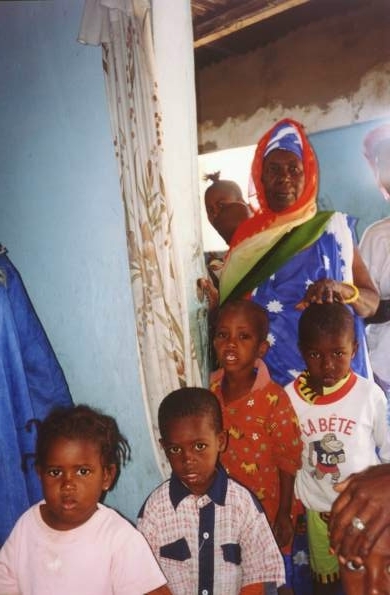 The Naar (or Moors) have cultural affinities to the Arabic-speaking groups to the north and east in places like Mauritanie and Mali. They have their own Afrique-du-nord-oriented Islamic culture. In Biffeche, they live mainly in their own sub-villages. All are Muslim. asked his Majesty to dance. The Americans appeared in Biffeche life only after the American Edward Charles Schafer became King Edward I in 1963. He established an aristocracy with local members in Biffeche as well as members in the USA, Great Britain, and Europe (mostly well-to-do patrons who helped the people). Our Majesty, King Ronald I, is of Scots, German, Swedish and American ancestry.